We closed out the month of May with the adoption of three of our cats to the same home! Emmie, Noah and Zeus were all adopted by a wonderful couple and they join a doggy brother, Timmy. 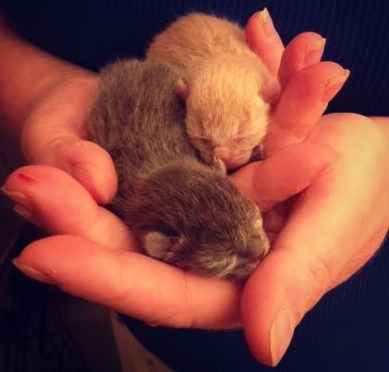 We are thrilled for these three kitties. 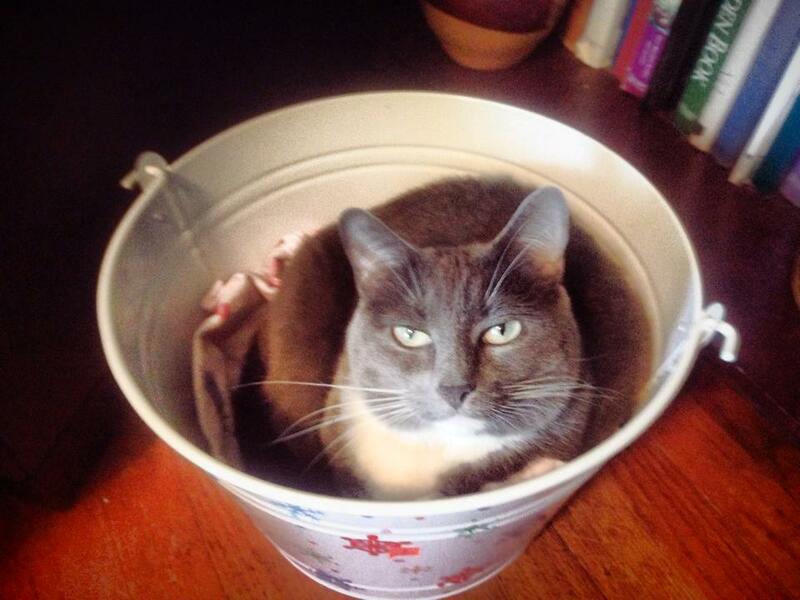 Emmie was in foster care almost a year. Noah was in foster care since being rescued in February '15, Zeus rescued in March '15. We have gotten glowing reports that Zeus and Noah love sharing the bed with their new mama. Emmie has been busy exploring her new palace! NEVI was adopted today! 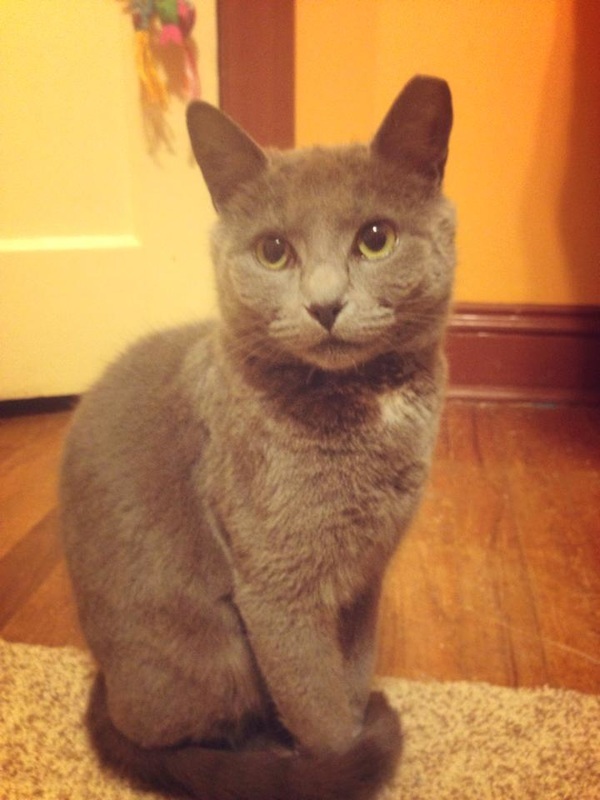 Due to illness, Nevi's mama surrendered her to us in March and she was in foster care until adoption. She is doing great in her new home with a little 'brother' and 'mom and dad'. She loves to sit at the top of the stairs and beckon for her humans to come see her. She is a true queen. We are two surviving babies from a litter of five. We were found in a truck's wheel well, very dirty and covered in excrement. 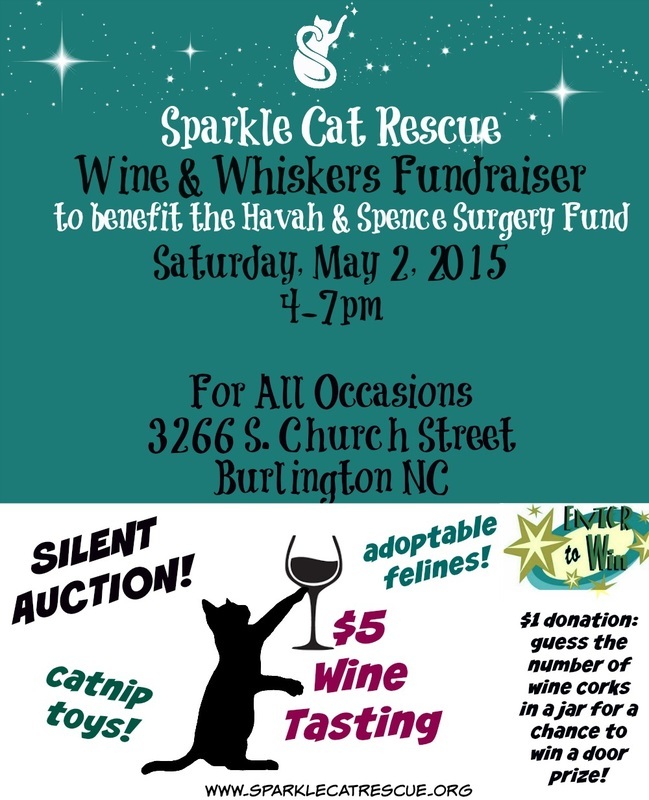 Sparkle Cat Rescue took us in and we went right to the vet for combo testing and vaccines. We are 8-10 weeks old today. After we got back from the vet, the founders (and our foster mom and dad) gave us baths and we smell so much better now and are so happy to be getting all the food and love we could ask for. 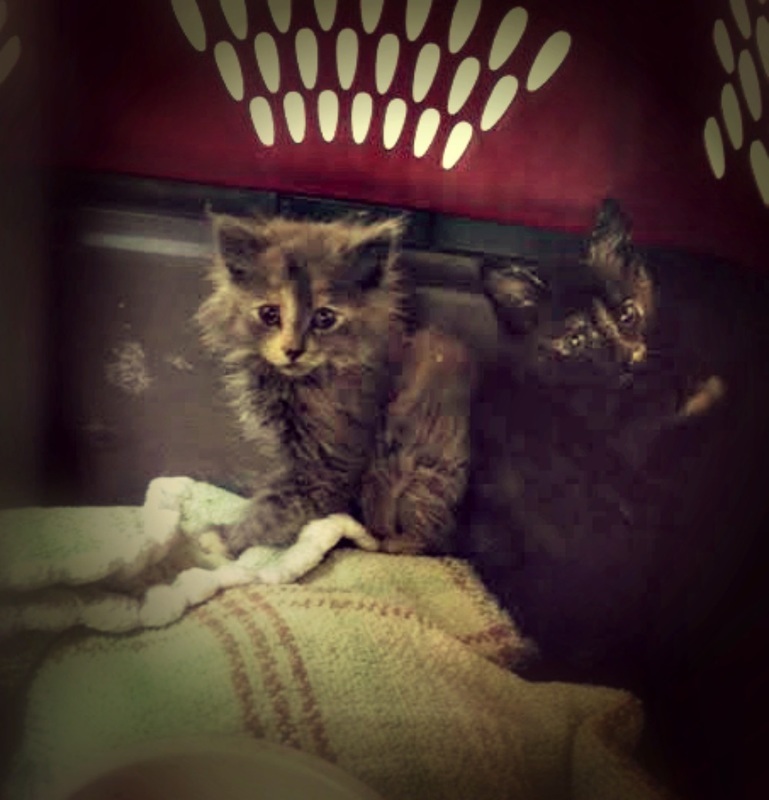 We were named finally and we are Tess (gray dilue tortie) and Liza (dark short hair tortie) We are still dealing with coccidian as of 6/10/15 and are on 2 weeks of medication to help resolve it. The two babies that were rescued from our local shelter on May 19 passed away today after their mama had been sick for a few days with upper respiratory infection and she was unable to clean and tend to them as she should. Despite our best efforts to clean them and stimulate them, they just were not strong enough. We believe they were born prematurely and just not healthy enough. They were doing so well and nursing very good on mama until Friday, May 22; however, her URI complicated matters and over the weekend she went to the vet twice for fluids and went on antibiotics. She continued to nurse but was pushing her babies away. RIP sweet babies. As of 5/26/15 Mama is still battling the URI and is on antibiotics, decongestant, saline nose spray and having to be fed via syringe. WAYLON was adopted today! He hit the jackpot with his wonderful family! His new family has been in regular contact with us (which we love!) and this boy is being spoiled rotten and his family just adores him! OBI and HAN SOLO joined us almost a week after their two siblings, LUKE & LEIA. They are the kittens of a beautiful white and black mama who is also looking for a home and is on our waiting list while we seek more foster homes. Obi has an interested adopter already and Han, Luke & Leia are ready for adoption applications to be processed. Their mama was a stray that wandered up to a home in Whitsett and before she could be spayed she had these sweet babies. 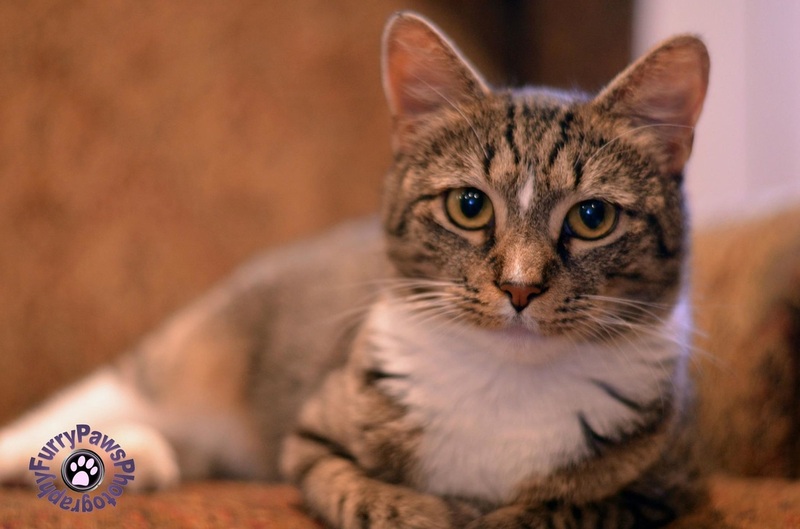 She will be spayed and vaccinated by her caretaker while a home is being sought. 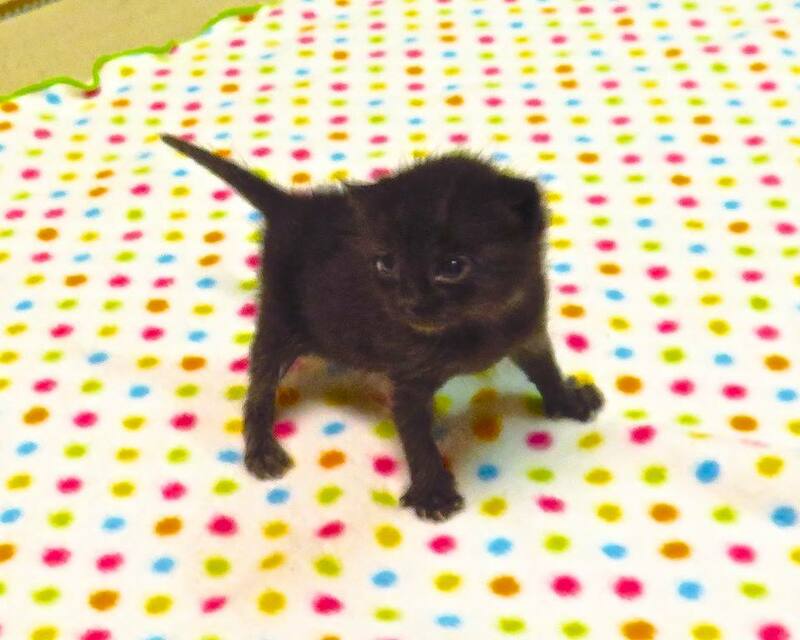 Mama and her three babies came to us on Tuesday, May 19, 2015 from our local animal shelter. Mama had given birth to her babies on Friday, May 15 after being surrendered to the shelter as a stray. 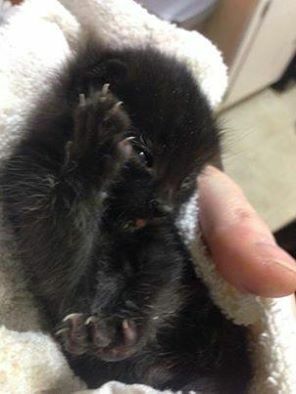 Shortly after we rescued mom and babies, one of her babies died due to an unknown cause. Unfortunately just shy of a week of rescuing them from the shelter, the two remaining babies passed away after mom was unable to take care of them due to an upper respiratory infection. Despite our best efforts to stimulate them to pee and poop and try to get them to nurse on mom, they just weren't strong enough. We have named mama cat Jasmine. She was spayed on Tuesday, June 9, 2015 and she is available for adoption. She showed no signs of trauma after losing her kittens and recovered from her upper respiratory infection within a few days of her babies passing. These are two of four kittens that joined our program today. 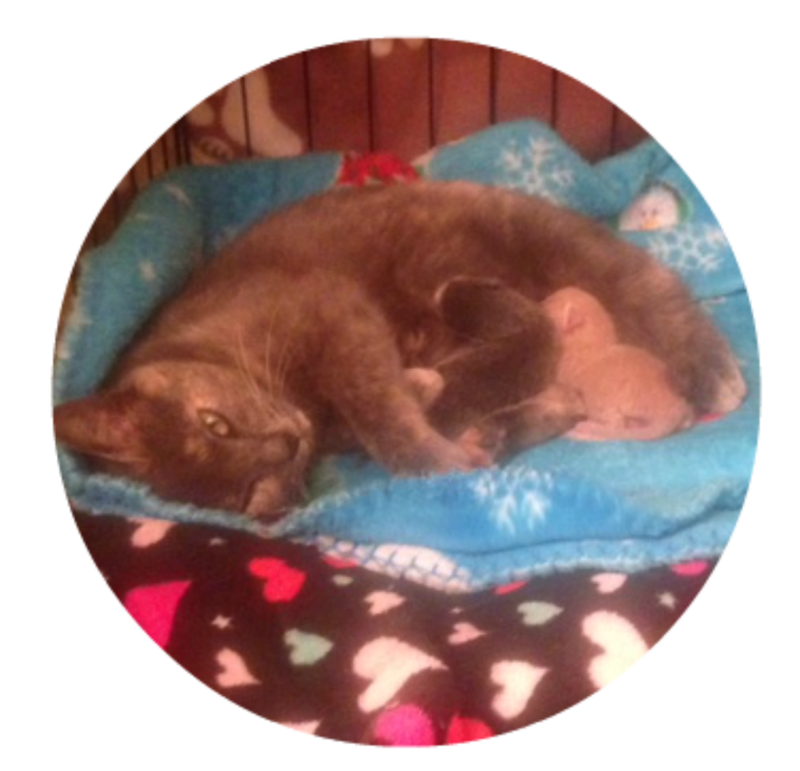 Their mama is a 'community cat' that will be spayed by Dr. East in Greensboro with the help of Sparkle Cat Rescue and an anonymous donor. Their siblings will be joining them in a week after they help dry up mama's milk. Available for adoption after they get their boosters and scheduled for spay and neuter. One girl, three boys in the litter. This is brother and sister. These sweethearts came to us via a recommendation by FCAP who was contacted by the caretaker after no luck in finding resources to help spay mama cat. Unfortunately mama had her babies before she could make her spay appointment. We expect her babies to be adopted quickly. Mama is a beauty herself and we will be promoting her trying to find her a home. 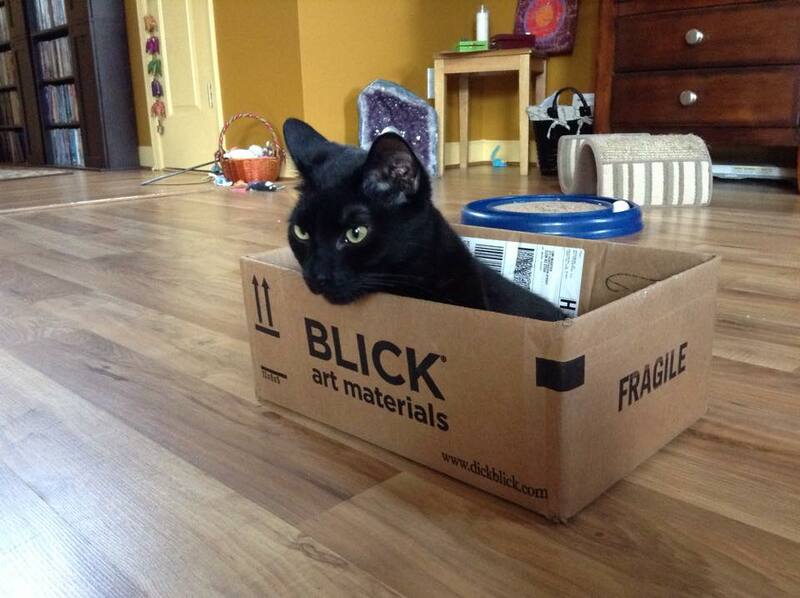 After a year in foster care (his entire kittenhood), YIN finally found the purrfect family! He is loved and adored and they say he's the sweetest cat ever! We are also thrilled to be able to get regular updates and a chance to visit him at his new home! We received a phone call from our friends at Town N Country Animal Hospital in Burlington NC asking if we could help or knew of a rescue that could take in this sweet fella we have named Ryder. That morning, a vet tech was driving behind a car and saw Ryder fall out from under the car in front of her - perhaps he had taken shelter after the weekend's heavy rainfall. Nonetheless, this sweet boy was petrified but other than that, he checked out. He had his first vet exam on Friday, May 15 and he weighs just a little over a pound and is estimated to be 6-8 weeks old. Update: RYDER was adopted 6/5/15! Suzi was rescued in April and after a visit to the vet we thought she would give birth shortly after rescue; however this girl kept us waiting a few more weeks and finally had 5 healthy babies beginning at 5:25 a.m. and last one born at 7:45 a.m. All babies are doing great and mama is nursing them. She will be spayed once she is done nursing and babies will all be neutered/spayed and vetted through Sparkle Cat Rescue and available for adoption (mama Suzi too!) Suzi is thought to be 1-2 years old. She is a very petite girl and oh so loving. 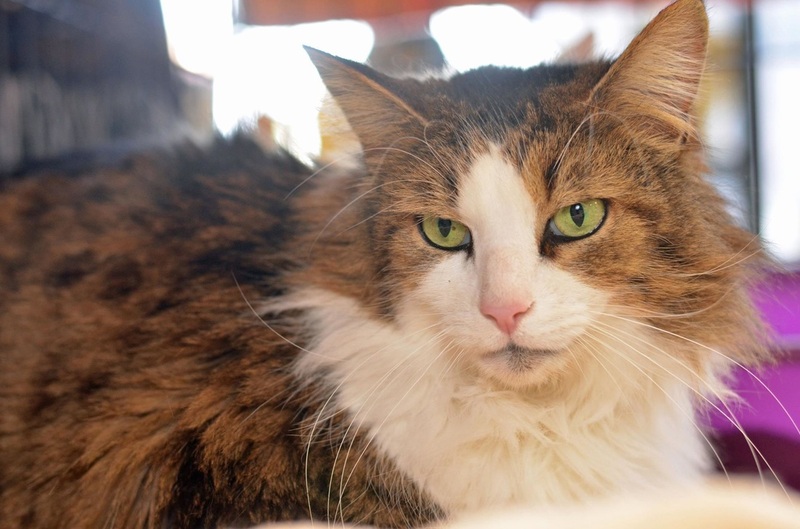 'Sparky' was rescued on May 5, 2015 after being found in a truck at a warehouse in Liberty, NC. He was brought to us by Nurse Bridgette from Town N Country Animal Hospital in Burlington NC. One of our foster moms is bottle feeding him. No mother was found when this sweet baby was rescued. As of 5/7 he/she is doing great and is quite the little active butter bean. 5/24/2015 I'm eating on my own and using the litter now! The official total we raised from the wine tasting fundraiser, all of which will be applied to the Havah and Spence Surgery Fund is $745.39. Thanks to all our volunteers and fosters who came out!! TYSINGER was adopted today! 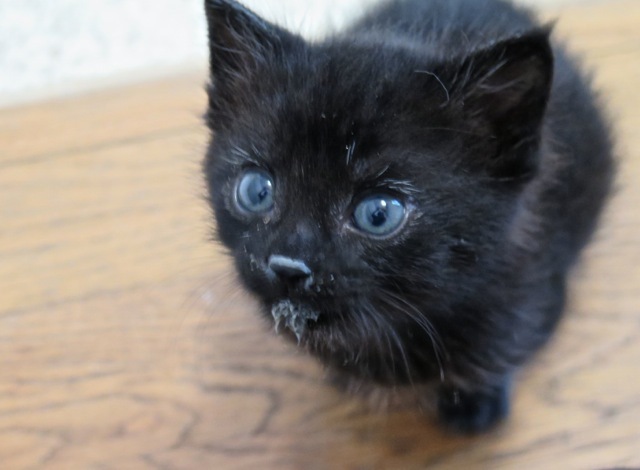 His foster mama fell in love with him (who could blame her?) and has made it official! 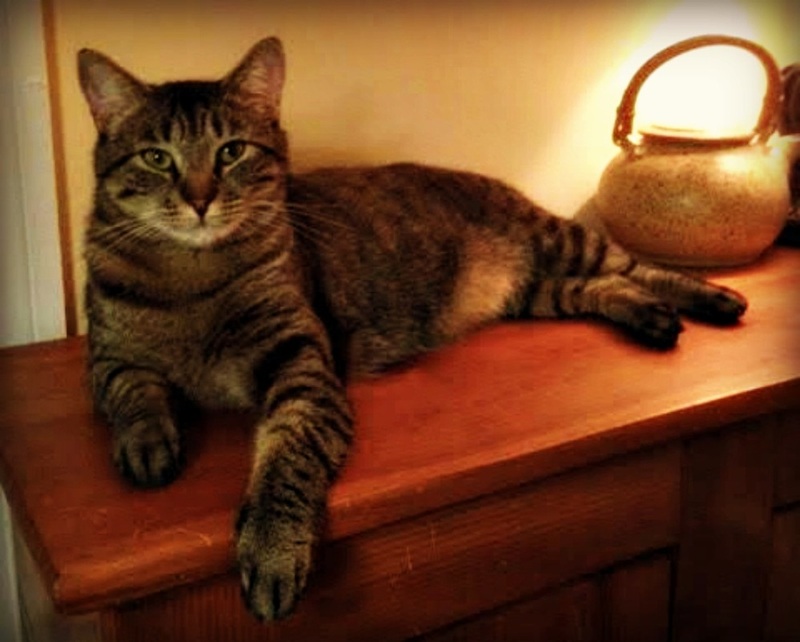 Tysinger came to us in November after he was rescued as a young kitten. He loves dogs and other cats and we are so happy for him and his mama! LUNA was adopted today! She was rescued from a local business on March 1, 2015 and spayed through our friends at FCAP (Feral Cat Assistance Program) in Greensboro, NC. 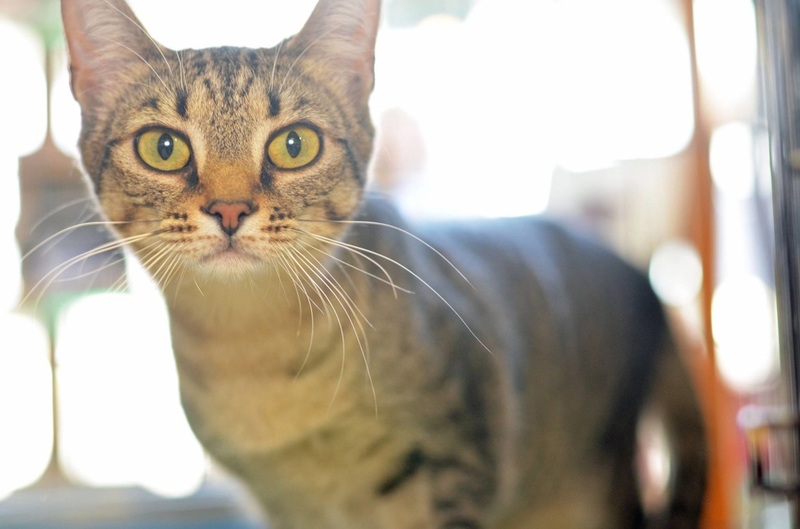 She had a very easy transition in her foster home and loved being petted and got along great with other cats. Her new mama has kept us updated of her progress in her new home. She joins a new brother who we are sure she will be found snuggled up with very soon! PK has been adopted! She found a fabulous new mama who is already spoiling her rotten with lots of love and lap sitting! PK (Pink Collar Kitty) was rescued in January 2015. One of our TNR volunteers trapped her and after she was trapped it was discovered she had a collar around her neck and under her arm that had become embedded. Upon arrival to Dr. Linda East in Greensboro, it was discovered the collar was embedded in her skin. Her breakaway collar had malfunctioned. TUCKER (black and white Tuxedo) was rescued on March 18, 2015 and within a week of rescue he had his front right leg amputated. He had no feeling at all in this leg and removing it has helped him tremendously with getting around. He spent about a month in a crate recovering and working on socialization. The time finally came for him to join the cats in the cat haven room and he is overjoyed at all the new-found freedom and friends he can play with!